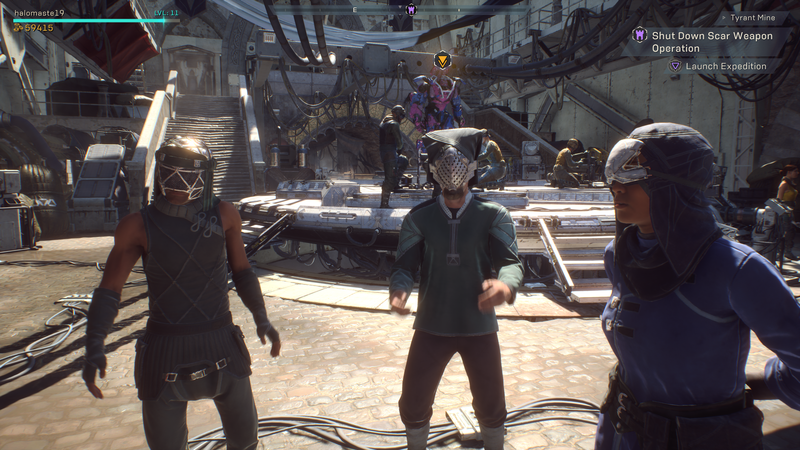 The stars of Anthem are obviously the powerful Javelins. These mech suits are really cool and deadly in the hands of a skilled pilot. But the citizens of Anthem seem to care more about something else: Masks. 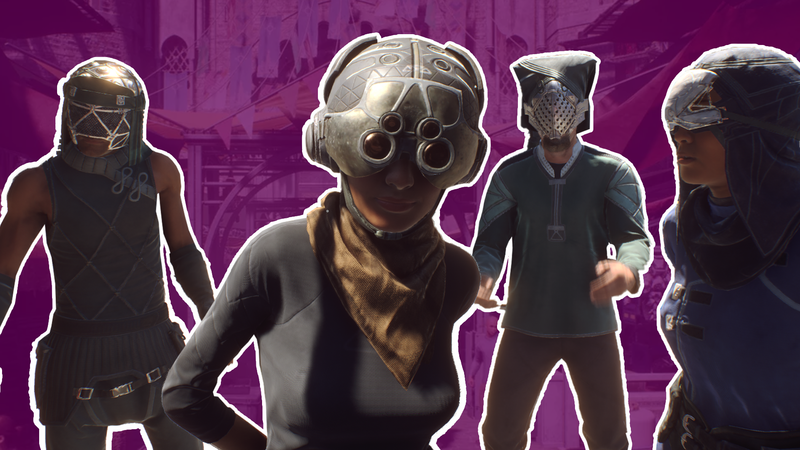 These folks really, really love masks. 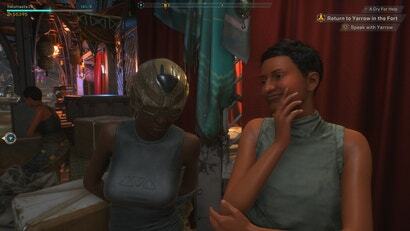 The first time I reached the hub city of Tarsis, I explored it and found new quests, met characters and found notes and other collectibles. 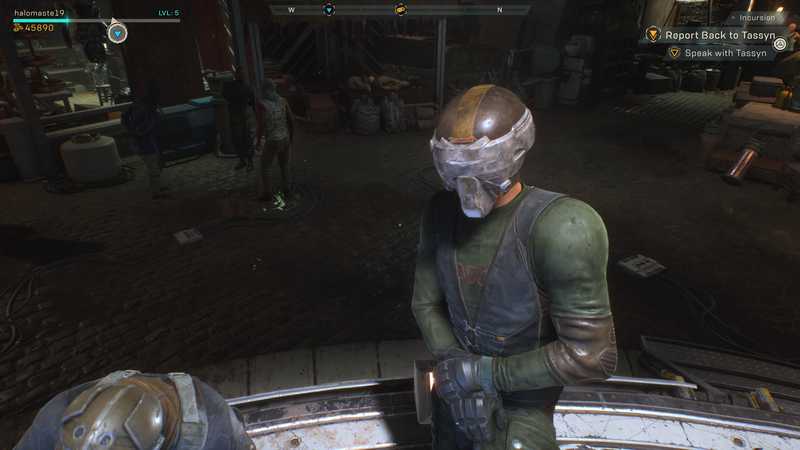 However, as I spent more time in the city I noticed how many folks in Anthem wear masks. At first, I thought it was just a few people, but soon I discovered nearly half the population of Tarsis is wearing various masks. Some of these masks are sensible. They don’t seem like they would get in the way much. Other masks seem annoying. They look like they would frequently cause problems, like making it hard to walk around the city. I honestly don’t even understand how some folks actually see while wearing some of these masks. Perhaps they are filled with sci-fi tech that lets them see the world around them? If that is the case, why not skip the mask altogether. Why are these masks so damn popular or necessary? What are the reasons for so many folks choosing to wear these things? It could be a fashion trend as I did notice certain maks were more common than others. Maybe full metal face masks are really in right now. 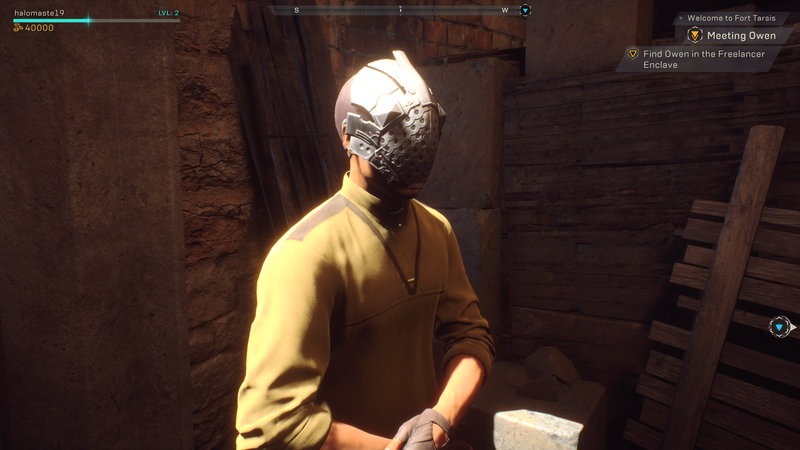 After taking dozens of screenshots, I figured I had seen all the masks there were. But nope! It seemed each time I loaded up Fort Tarsis I would encounter a new mask. Sometimes they were hard to spot. 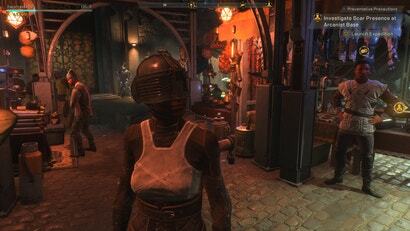 NPCs facing a shop were hard to look at and photograph. 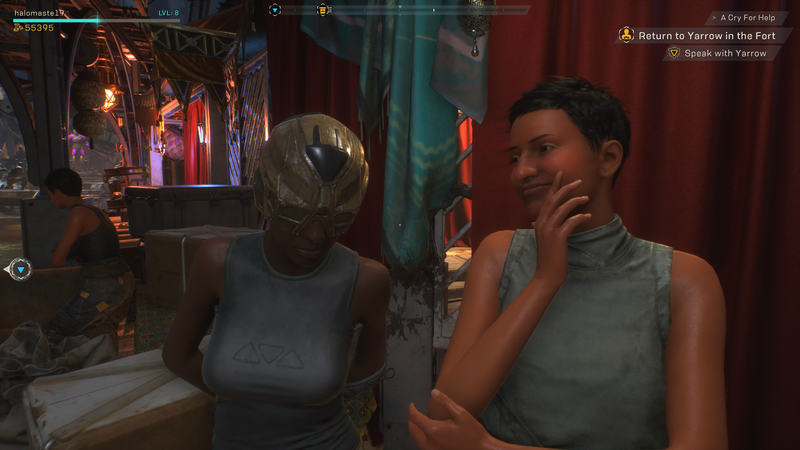 Other NPCs were in crowds, making it hard to get a good angle of them. 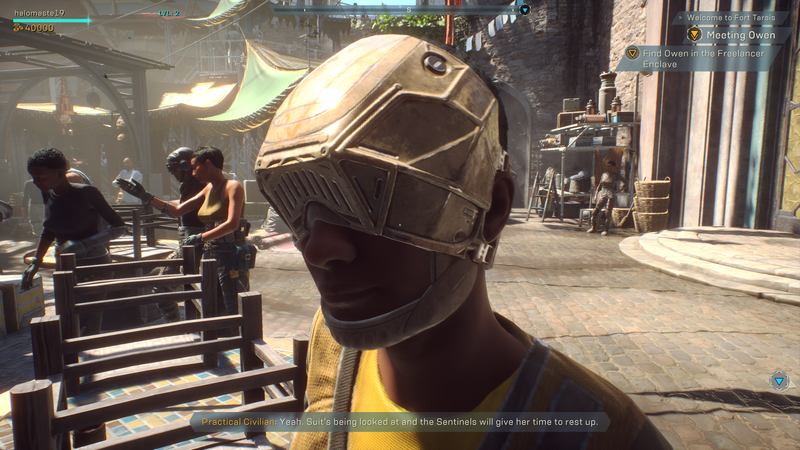 Beyond just masks, the citizens of Anthem also love hats and hoods. They would even mix masks and hoods and hats together to create new styles. 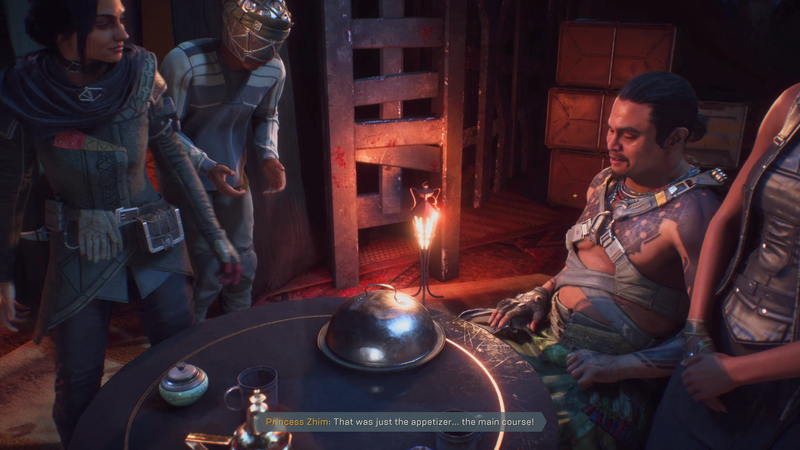 The fashion in Anthem has me asking a lot of questions in general. How much time do folks spend on picking out the right mask? How much time do they spend putting on arm and wrist bands? Also, where are they buying these masks? 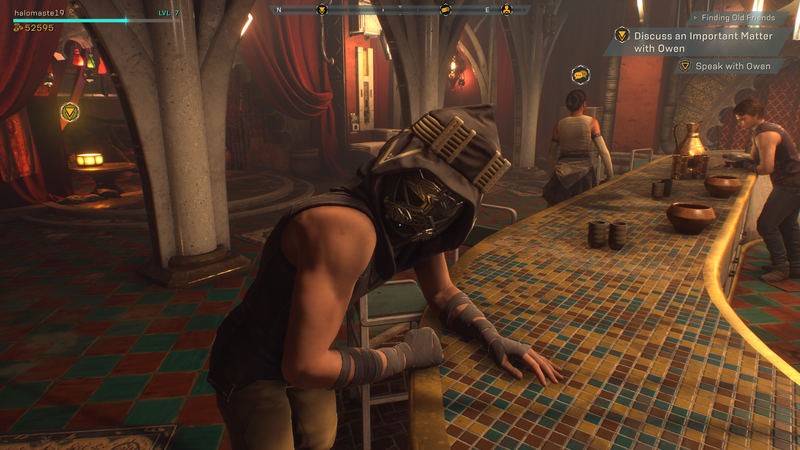 I looked around Fort Tarsis and didn’t see a mask shop. 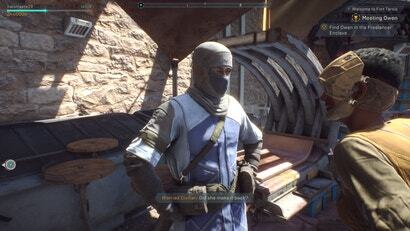 I could find armour for sale, but not fancy masks. 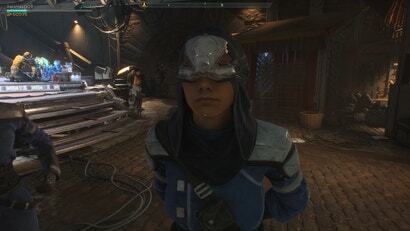 Masks are so prevalent in the game that they even pop up in some cutscenes. 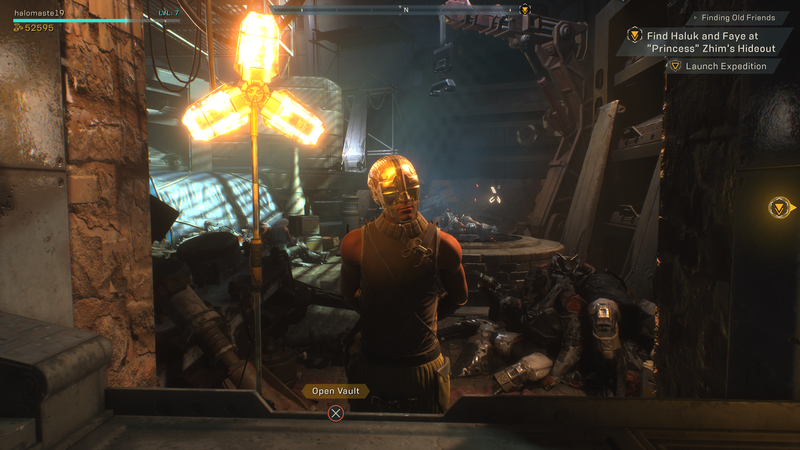 EA and Bioware seem to have big plans for Anthem, including new missions and weapons. I also suggest adding more masks. More colours, shapes, and styles. 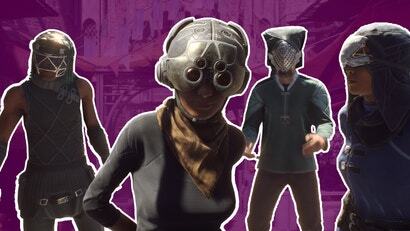 Let players buy some masks too. I feel like an outcast without a cool mask. For now, I’ll just stick to my javelin, which is totally cooler than a mask. I don’t even want a mask, honestly. The obvious answer has been overlooked. 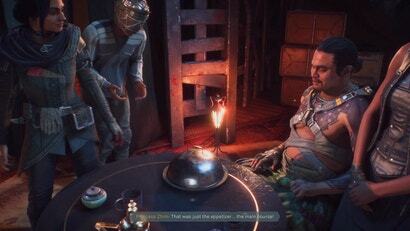 Tarsis is populated entirely by past and present Dread Pirate Robertses. "Why are you wearing a mask? Were you burned with acid or something like that?" "Oh, no, it's just they're terribly comfortable. I expect everyone will be wearing them in the future ... "
Maybe everyone's faces are tired. I asked this same question on Reddit last week. 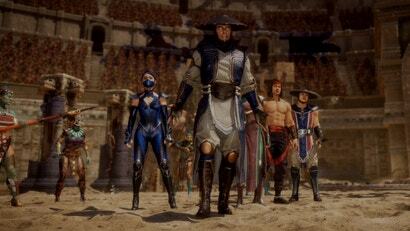 I concluded it was to enable a handful of NPC models to be recycled and used many times. 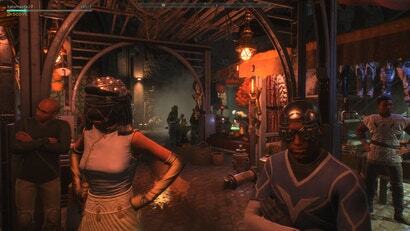 It is more forgiving to see a NPC doppelgangers in close proximity if their face is masked. It becomes really obvious on the server connection screen. A bunch of mechanics wearing masks is fine, I can go with that. But there's also 2 children watching them, also wearing identical masks. Then, occasionally, 2 more children will run into frame, also wearing the same mask. Clearly facial animation is resource hungry. As is animating long hair. 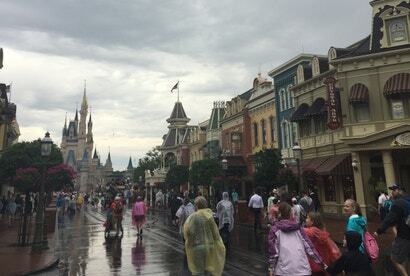 Nobody seems to have hair past their shoulders. People can't criticise the facial animation if no one's faces are animated. Is that one dude just wearing a colander? Doug? Yeah, he's a bit weird, just go with it. member of the Church of the Flying Spaghetti Monster, perhaps? Potential lore explanation. the masks contain communicative elements that people acces. Or its a copying type thing i.e. they don't got no cool mech suit so this is the best they can do. 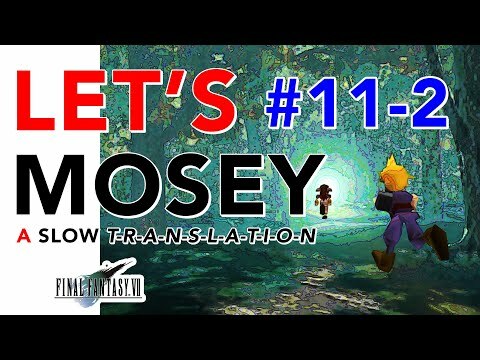 Other lore possibility. They're on an alien planet, it may serve more practical purposes, like filtering. As its a magic planet the Gods only partially finished, each person may be having different reactions. Some being visual, others breathing, while others have no issues at all.